I have a friend at Stampin' Up! who is also a huge Tiger's fan (yep, all the way out in Utah!). Every once in awhile, I send him a little something to decorate his cubicle. I made this card to send along with it. 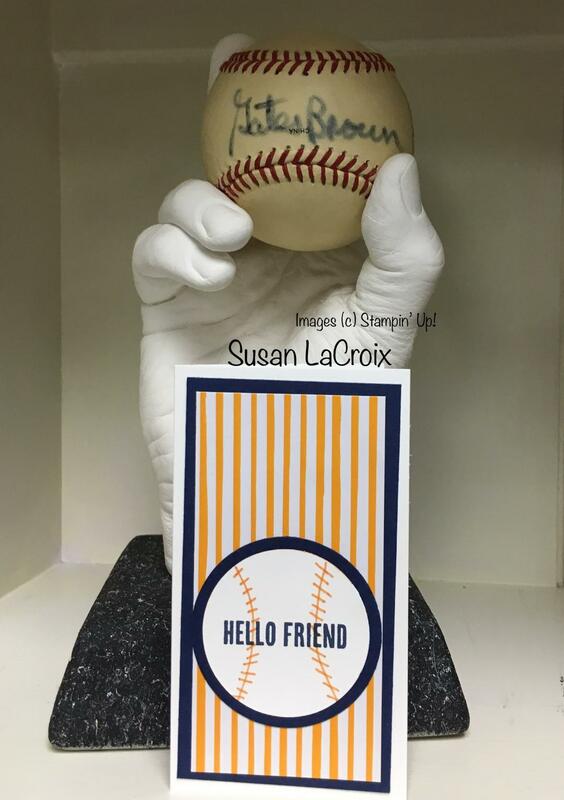 We don't have any baseball themed stamps so created the baseball stitching with a Stampin' Write Marker.